Miami, FL – August 17, 2017 – The Global Wellness Summit, the annual event that attracts international business and industry leaders focused on the growth and opportunities to be found in today’s $3.7 trillion global wellness economy, today released the agenda and speakers for its 2017 conference, taking place at The Breakers Palm Beach, FL this October 9-11. The theme of this year’s Summit is the business of “Living a Well Life,” and the three-day event will feature an unprecedented lineup of over 50 speakers and presenters, each sharing his or her unique insights on how – and why – wellness is changing the way business is done and what the future of wellness holds. The Summit’s agenda will look closely at big picture trends, such as technical, social and economic changes that are impacting all of its sectors: hospitality, tourism, spa, beauty, fitness, nutrition, finance, education, environment, medicine, architecture, workplace wellness, wellness communities and technology. The packed agenda of high-level keynotes, speakers and collaborative roundtables, includes thought-provoking topics like: “Good News/Bad News: Wellness and Technology;” “Fake Wellness or Wellness Evidence: Why it Matters;” “What Wellness Investors are Thinking, Saying, and Most Importantly, Doing;” and “The Impact of Wellness on the Big Business of Beauty.” See full 2017 GWS agenda here. In addition, the Global Wellness Institute will release its first research report on the fast-growing new market of “Wellness Communities & Lifestyle Real Estate,” exploring the potential of communities and developments with healthy living at their core. – Dr. Dean Ornish, Founder & President, Preventive Medicine Research Institute, U.S.
Delegates will also enjoy the inherent wellness of The Breakers, an iconic, 121-year-old, eco-conscious resort set on a palm-lined beach and dozens of acres and offering a host of outdoor wellness and fitness activities. To see all the activities taking place over the three-day conference – as well as pre- and post- event activities – view the entire agenda. The Summit is a gathering for senior industry executives and leaders; for information about applying to attend this invitation-only event, click here. 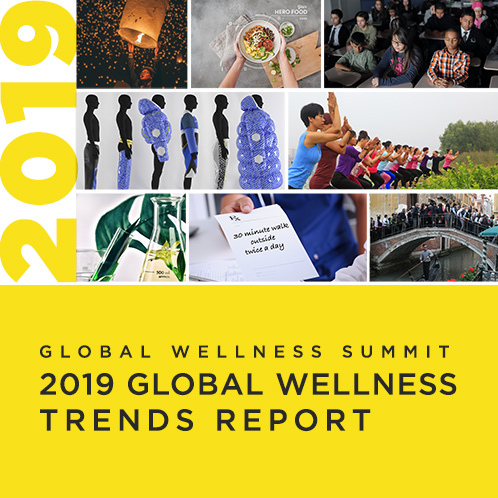 About the Global Wellness Summit: The Global Wellness Summit (GWS) is an invitation-only international gathering that brings together leaders and visionaries to positively shape the future of the $3.7 trillion global wellness economy. Held in a different location each year, Summits have taken place in the U.S., Switzerland, Turkey, Bali, India, Morocco, Mexico and Austria. The next will be held at The Breakers, Palm Beach, Florida from Oct. 9-11, 2017.